Events – Page 2 – Welcome to Wyandotte Daily! The Cure Church, a nondenominational church at 3650 N. 67th St., Kansas City, Kansas, plans to drop about 10,000 Easter eggs by helicopter after the 10 a.m. service on Easter Sunday, April 21. The church has done a helicopter egg drop for the past two years. Also planned after the 10 a.m. service are a bounce house, petting zoo and food. For the 10 a.m. Easter service April 21, the church plans an interactive live play, poetry, dancing and the spoken word. The public is invited to the helicopter Easter egg drop and the Easter service. Lead pastors of the Cure Church, formerly known as Praise Chapel KC, are Kelly and Esther Lohrke. A presentation is planned today on Kansas Delaware tribe history. The presentation will be from 11 a.m. to noon Friday, April 19, at the Turner Library, 831 S. 55th St., Kansas City, Kansas. 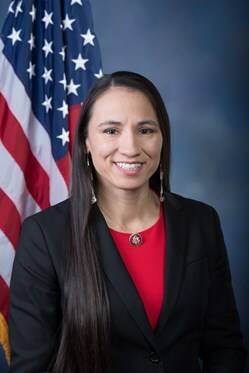 The Kansas City Kansas Chamber of Commerce has announced that U.S. Rep. Sharice Davids, D-3rd Dist., will be the keynote speaker for this month’s installment of the organization’s Congressional Forum series, from 11:30 a.m. to 1 p.m. Friday, April 19, at Children’s Mercy Park, Kansas City, Kansas. Now entering its 51st year, the KCK Chamber’s Congressional Forum is the organization’s public policy series and longest-standing, most distinguished program. The forum meets the third Friday of every month and features local, state, and federal representatives to speak about issues relevant to the area’s business community. The event is open to members and non-members of the KCK Chamber. The cost to register is $50, and includes a plated lunch. Rep. Davids was raised by a single mother, who served in the Army for 20 years. After graduating from Leavenworth High School, Rep. Davids worked her way through Johnson County Community College and the University of Missouri-Kansas City before earning a law degree from Cornell Law School. As a first-generation college student who worked the entire time she was in college, Rep. Davids understands the importance of quality public schools and affordable higher education. It is that foundation that allowed her to go on to a successful career, focused on economic and community development, which included time as a White House Fellow under President Barack Obama. Rep. Davids said she wants others to have the same opportunities to achieve their goals, which is why she has centered her career on bringing more opportunities to the middle class. Rep. Davids was sworn into the 116th Congress on Jan. 3, 2019. She is a resident of Roeland Park. For more information, visit the KCK Chamber’s website at www.KCKChamber.com.